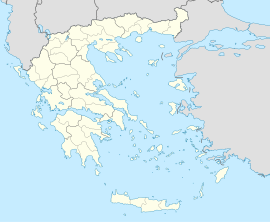 Lazarata (Greek: Λαζαράτα), is a village in the northern part of the island of Lefkada, Greece. It was the seat of the former municipality of Sfakiotes. Lazarata is located 7 km southwest of the main town of Lefkada and 3 km northeast of Karya. This page was last edited on 22 January 2017, at 07:59 (UTC).